Many women are not born with long and thick lashes and oftentimes, this becomes the root of their insecurity. Using fake eyelashes is a quick way to boost your appearance without the hassle of going to the salon. Assembly can be done anywhere as long as you have lash tweezers, lash glue and a mirror. You can have another person attach them for you or you can do it yourself. Having lash extensions done at the salon can range from $100 to $300 not to mention the additional cost of maintenance and regular replacements. Salon extensions need to be renewed every six to eight weeks, a total of $600-$1800 annually. On the other hand, false lashes are dirt cheap. They last about three to six days and can be bought almost anywhere. Online stores sell the popular red cherry lashes for as low as $2.76 a pair so that won't break your wallet. If you feel more comfortable seeing the products up close, then drop by your local drugstore. Some ladies dislike the idea of having a foreign object stuck to their body parts not even if these are as small as lash extension fibers. 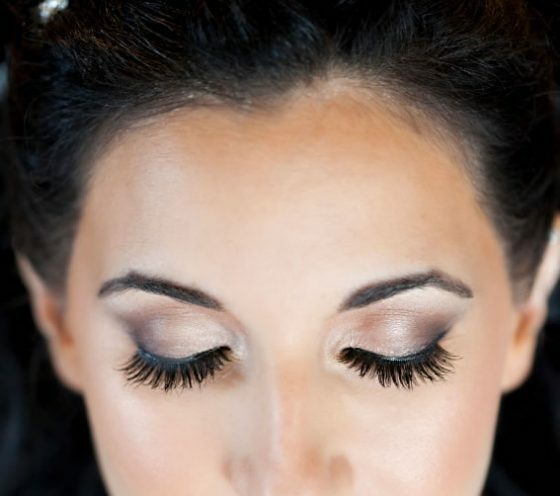 Fake eyelashes allow them to improve their appearance without aggravating their concerns. Natural eyelashes and extensions are limited to only a few colors and style, but false lashes offer various hues, sizes, lengths, designs and materials that fit every occasion and lifestyle. It gives the wearer the freedom to customize the lashes. Since artificial lashes are disposable, there are fewer tendencies for bacterial growth and dirt accumulation. You can just buy a new pair if you find anything unusual on your old ones. If you don’t want to look overdone then natural looking lashes are more suitable for you. Daytime lashes can add length, volume and impact without the need to put on a lot of makeup. A good example of day time lashes is Ardell Natural #110. These are also considerably lighter than store stocks. Be careful when handling them because they are thin and fragile. Full lashes are essential when you need to attract attention because they make the eyes bigger and more prominent. Theater performers and models prefer this type because their facial expressions need to be seen from afar. Models use these for pictorials that require more dramatic outputs. Example of glam style is Red Cherry Lashes WSP. Individual lashes are easier to arrange than those in strips. They can be inserted fully into the lash line to achieve a separated, yet full effect. You can buy a single strand or in groups of three and customize them. Stylists favor these products because they are suitable for almost all eye shapes unlike the common ones in strips that need to fit a certain shape. A mix of long and short lashes is also a playful alternative to generic false lashes. If you want to look uncommon, but not totally plain then this should be your choice. They come in straight but varied lengths, lengthier tips or criss-crossed. If you are adventureous try out Ardell Professional Studio Effects Demi Wispies. 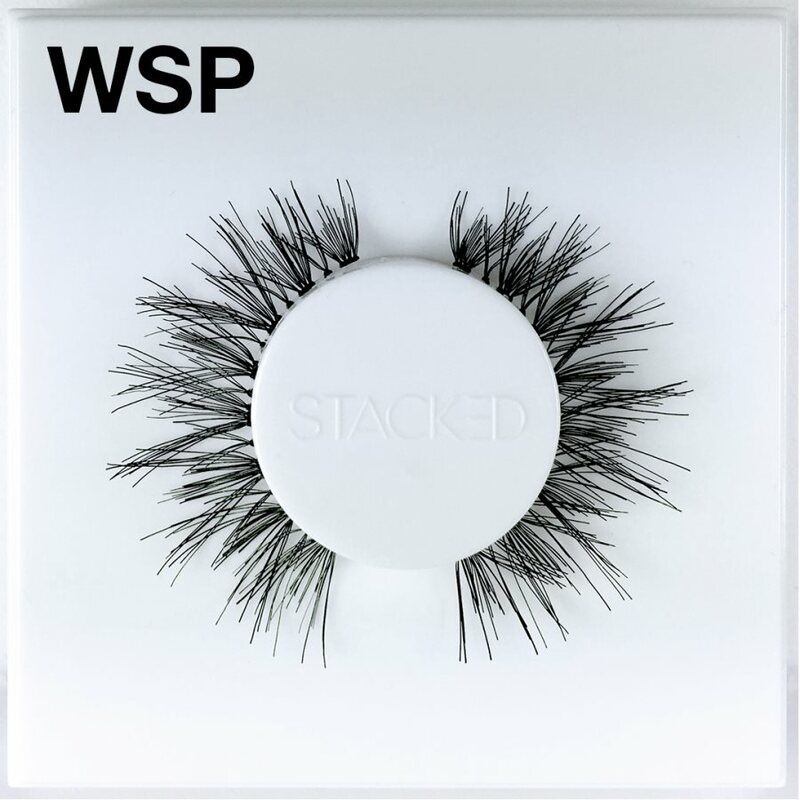 These lashes provides a seasoned professional look by combining 4 flared individuals lash clusters that have been placed at the outer corner of the lash band on top of criss crossed type strip eyelashes for a dramatic flare to touch of sophistication and glam. Sanitized human hair is used to make natural-looking lashes. They are skinny and pliant, making them re-shapeable. They are a bit more pricy and harder to find than drugstore staples. Fringe styles give an old-fashioned appearance and are not so common these days. However, period movies tend to use them for their casts to achieve authentic era beauties. Synthetic false lashes are made of soft plastic or silk threads and are the cheapest option for this lot. They are reusable up to four times as long as they are still in good condition. You can buy ones that are colored, printed or frosted with stones. Expensive mink, hourse and fox hair are now setting a trend in the fake eyelashes market as “high-class” commodity. These pairs are ridiculously expensive, starting at about $100. They are feathery and organic in appearance, making them look elegant. If you are a novice in applying eyelashes, better pass on these. Please do note for animal concerns, we recommend faux mink lashes which is made of sem-synthetic hair like fibers which is 100% cruelty-free and free of animal products. 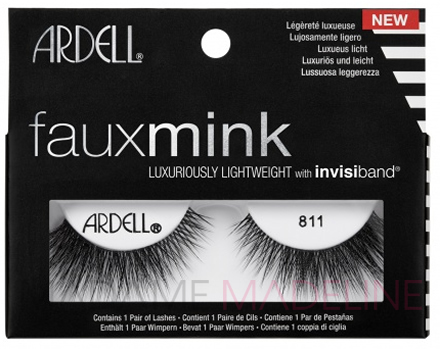 Check out the world's best selling lash brand Ardell's new Faux Mink Lash Collection here. Drooping lids need a lift so opt for big lashes where the longest starts are in the middle to create depth. Make sure the pair is properly thinned at the edges. Big and bold peepers need to be toned down, so choose artificial lashes that resemble cat eyes, fine and winged. Deep set eyes have overwhelming brow bone structure, thus long, intense falsies are necessary to offset them. These falsies can make your eyes look more striking, so expect to draw attention. The “lack” of lids should be compensated by lush and feathery false lashes. You can opt for costly original animal hair, middle priced faux animal fibers or 100% cheap human hair like Red Cherry eyelashes that can also do the trick. Almond gazers are universal in terms of fake eyelashes. Almost all types fit this pair of eyes, but the best choice would still be a volumizing set with overlapping strands to create a fan-like appearance. If you are a beginner in using these lashes, make sure to determine your eye shape and pick your choice based on it. Choose stripped lashes for easier application and storage. Purchase cheap sets to practice. If you can buy something close to natural then go for it so you get the feel of putting a product that you can actually use. Choose nylon or cotton strips. These are more comfortable to use since they don’t tug on the eyelids. Cotton is breathable while nylon is lightweight. Prior to putting the falsies on, be sure to fit them on your lids and remember the parts that you need to remove. Use a trimmer or eyebrow scissor to cut around the material gently. Apply makeup before putting on artificial lashes. Doing the latter first may only ruin your makeup. Avoid piling up different lashes. Despite their close to natural appearance, gluing them on top of the other only makes them too obvious and costume-y. If you want thick and noticeable eyelashes then use individual strands or clusters instead. If you are wearing contact lenses then put them first before doing your lashes. Colored contact lenses are better paired with minimalistic pieces but are not limited to such. Use liquid liner to cover the strips of your faux lashes since pencil or gel will leave visible bald spots. Try to dot along the spaces of the hairs and trace them, instead of drawing a quick line on top. This makes the liner less crass and appropriate for daywear. Sanitize immediately after removing your lashes so that any dirt or germs obtained while out can no longer multiply. It is advisable to spray 99% cosmetic alcohol or sanitizers once to avoid ruining the material. Midrange products are worthy investments because they are sturdy enough that you can reuse them multiple times. Don’t get caught up in trends. Many beginners buy eyelashes simply because these were featured in a magazine or a certain model endorsed it. Considering brand referrals is part of the selection process, but you must be practical and wise when purchasing to avoid wasting money. Research about different brands and user feedback. It can be a bit confusing for a beginner to find their first eyelash pair due to the large number of goods in the market. Established brands become the frontrunners but you can research on budding name-makers and see if their products are worth the rave. Keep practicing. Wearing fakes can feel uncomfortable at first, but if you will eventually get used to it, making you feel comfortable and confident when you wear them. Buy pairs that you can really use and try to wear them daily. Doing so will make you less conscious of your appearance and gain more confidence. Invest in durable items. Once you get used to wearing falsies, it would be best to buy multiple sets to save more money. You can purchase high quality fake eyelashes 2’s, 3’s, 6’s or boxes. Most websites give big discounts for bulk orders and freebies for initial customers. Choose websites with warranties so you can ask for refunds or replacements in case of damaged orders. Watch beauty bloggers and take note of their usual faux lashes. Although a lot of them are sponsored materials, others are just plain enthusiasts. Listen to their explanation when it comes to selecting the product, genuinely good products are sought after and not overly endorsed. With all these information, picking the best set of lashes for you to wear regularly will be easier.